An important opportunity to promote top-quality Italian and European fruit and vegetables in China thanks to Mac Fruit Attraction, Shanghai, the first European-organized event to showcase the fruit and vegetable industry in China. 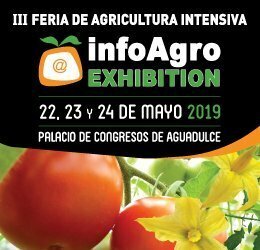 CSO Italy, promoter of the Freshness from Europe initiative, took part in the event with a 156 m2 stand that hosted the partner companies in the Project. 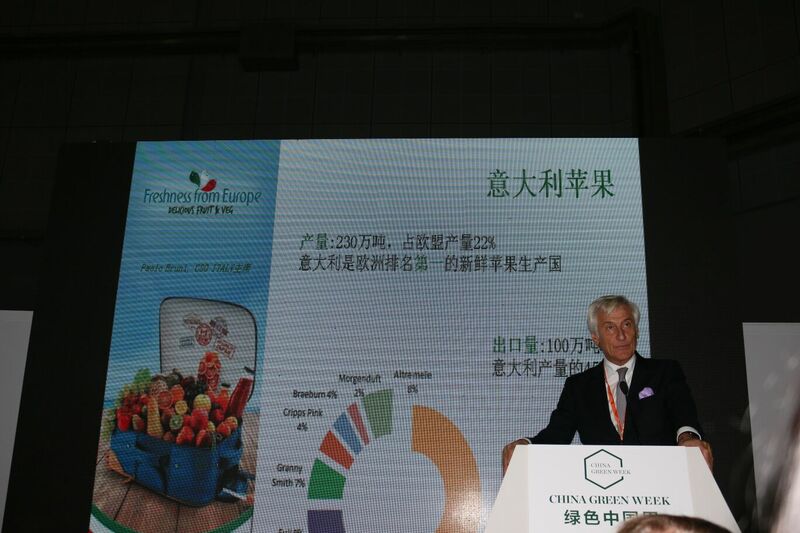 During the press conference organized in Shanghai to present the event, President of CSO Italy Paolo Bruni emphasized the abundance and the quality of the main varieties of Italian fruit in the world promoted through the Freshness from Europe Project. A project whose target countries include China, but also the US, Canada, the United Arab Emirates and Japan, and which involves businesses that are members of CSO Italy, which together represent 60% of the Italian fruit & vegetable industry. Italy produces around 17 million tons of fruit and vegetables a year. This includes 7 million tons of fruit and 3 million tons of citrus fruit. It exports around 3.9 million tons of fruit and vegetables, including around 2.7 million tons of fruit and 300,000 tons of citrus fruit. It is Europe’s leading producer of fresh apples, kiwis and pears, and the second-biggest producer of citrus fruit. A prominent position at global level in terms of production, a factor that complements the quality and healthiness of Italy’s produce which once again confirms its role as a European leader as regards integrated and organic production. “Italian fruit and vegetables – explains President of CSO Italy Paolo Bruni – are represented in China, for now, by kiwis and citrus fruit but we are already working to bring our pears to the country, one of the real jewels in the crown of the Italian fruit industry. We took advantage of this mission in China with the Region of Emilia Romagna – Bruni continues – to present the highest authorities of the Chinese Ministry of Agriculture with a dossier on pears. I covered the most important issues in this dossier in depth during the press conference where, as CSO Italy, I highlighted the values and the importance of Italian pears and how much we are doing to finally be able to begin trading with this country, generating great interest among the journalists present. Given the great demand – Bruni concludes – we hope that by working effectively together we can finalize the opening up of this market as quickly as possible so Chinese consumers can also enjoy the unique characteristics of the various varieties of Italian pears”.